Home by home, block by block, Rebuilding Together is rebuilding homes and communities nationwide. For almost 27 years, Rebuilding Together has provided extensive home rehabilitation and modification services to homeowners in need. Our network of 142 affiliated nonprofits brings together 75,000 volunteers and completes nearly 10,000 projects each year. With the help of 3.4 million volunteers, Rebuilding Together has delivered over $1.3 billion in market value since its founding. Rebuilding Together continues its mission of seeking to provide a safe and healthy home for every person. 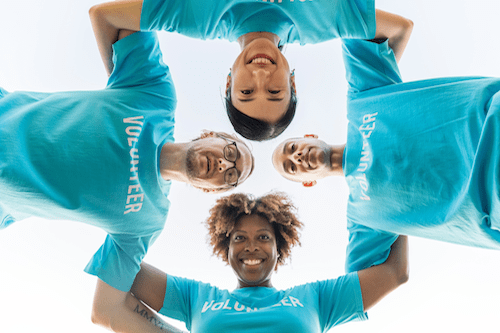 Volunteers are the heart and soul of RTVOS. Our Individual and group volunteers, both skilled and unskilled, form the backbone that allows RTVOS to provide critical community services. Skilled Trade Professional Volunteers are the glue that binds our rebuilding efforts, providing materials and technical know-how on everything from roofing to plumbing, assessment to planning. More a more detailed list of skilled volunteers needs, click here. Just click HERE to sign up! We offer various ways to volunteer with RTVOS and look forward to your involvement. If you have any questions, please email or call us at 480-774-0237. 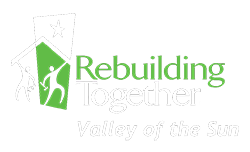 For those interested in volunteering on a Rebuilding Day project, please check with us. We hold Rebuilding Days twice a year - usually the 4th Saturday of April and October. 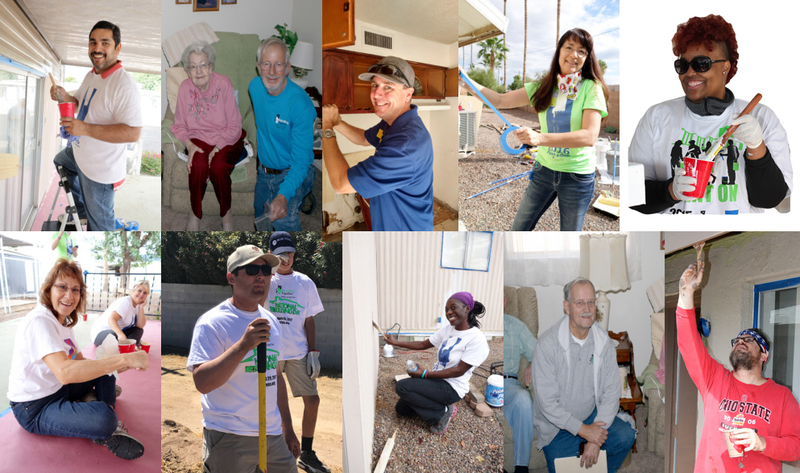 Our Fall Prevention, Chores for Charity, Maintenance Matters, and Arizona Ramp Project Programs are all possible thanks to committed volunteer teams who care about making a difference in their communities. Won’t you join us? Interested? CLICK HERE to register or Email us at info@rtvos.org! 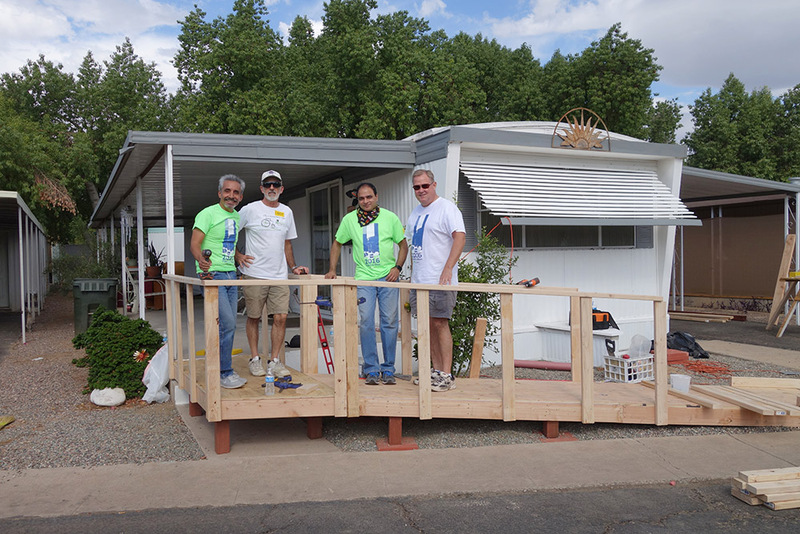 Volunteers are needed year-round to perform minor repairs and make fall prevention modifications to the homes of low-income seniors and individuals with disabilities. You are at the heart of our work. We have requests every day for repairs, small and large, that cannot wait for big event days. If you have skills at fixing things and are willing to give us some time, please contact us so we can work with your schedule and match you with homeowners in need. Skilled volunteers are needed to provide services for Maintenance Matters. Are needed to step in and lead new and inexperienced groups. Captains inspect the project site, plan the work, meet with the homeowner, make sure the necessary materials and supplies are on hand and within budget, and coordinate their volunteer teams for a fun, safe and successful experience. 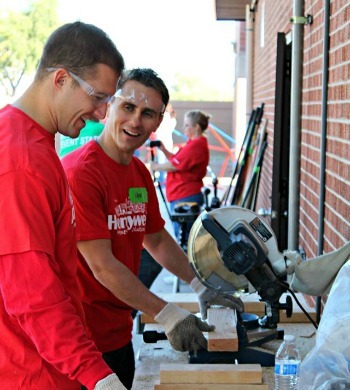 Rebuilding Together Valley of the Sun relies on Skilled Volunteers to improve the lives of those we serve. Your gift of time and talent allows us to help more people through our Safe & Healthy Home program. As one of these vital volunteers, you’ll work performing minor repairs and installing grab bars and safety equipment designed to prevent falls for low-income senior, veteran, and disabled homeowners. RTVOS provides the tools and materials, you provide the knowledge and expertise. Together, we’ll improve lives.